I love making clothes for little people in 8ply and above. 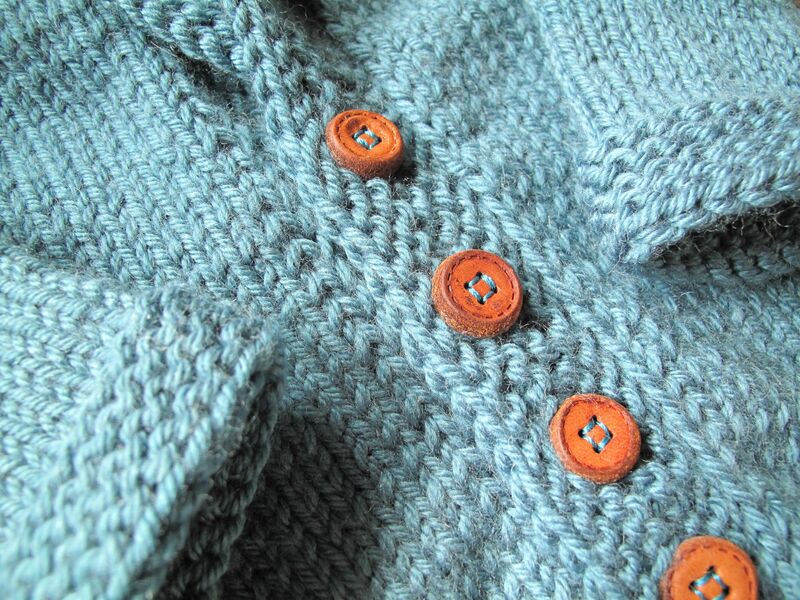 This was a super fast knit in Debbie Bliss Cashmerino Aran. 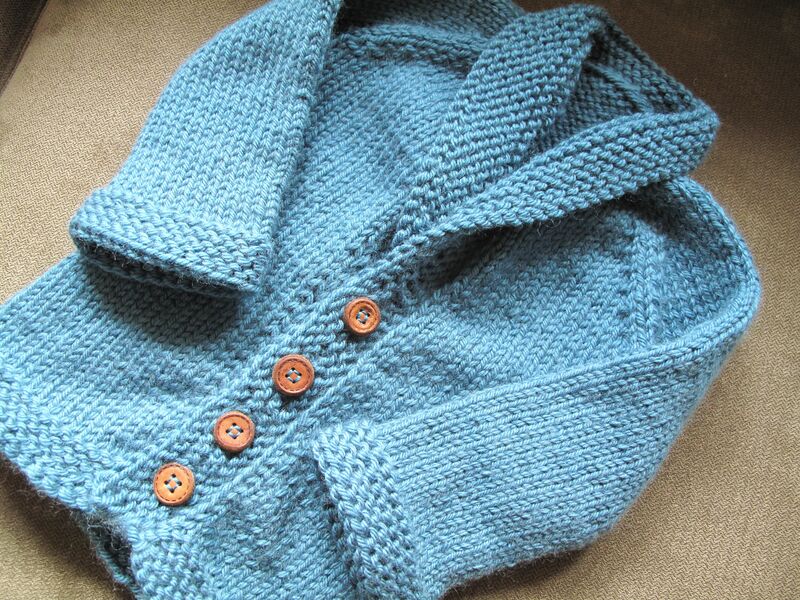 It is for my new nephew and it’s the very first garment I’ve made him. This is a sure-fire way of getting my project tally up for the year! I’ve had a bit of a cold this week, so unfortunately I can’t present him with it this very instant. Be assured though I will grace you with modelled photos when I do see him again. The cute buttons are from Buttonmania. When I saw them, I knew they were it! Paddington Bear buttons is what I thought. They’re adorable. The last four buttons they had, it was meant to be. < Follow Your Arrow Finale! 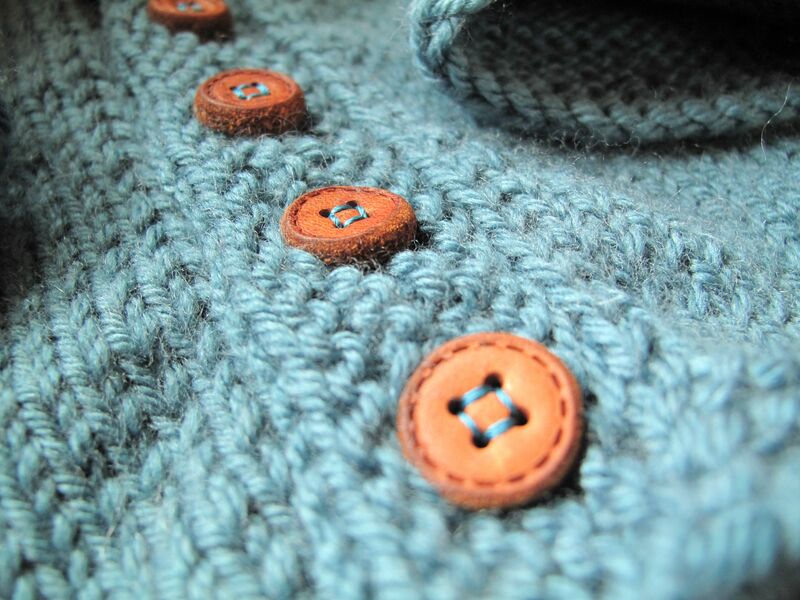 Completely adorable – Buttonmania has done your project proud. Note to self: come back in my next life as Sonia’s niece/nephew/something small. But probably not her cat.